In the past months we often got asked about HbbTV and if the DVBViewer does HbbTV. I'm more than happy to say that the DVBViewer is the world's first TV application for PCs which support the HbbTV standard. This allows us to provide you additional services based on this kind of technology. HbbTV is am abbreviation for "Hybrid Broadcasting Broadband TV". This sounds more complicated that it actually is. Its meaning is that regular tv signals are offered with additional information provided via broadband internet connection. For the user the tv content will become more interactive and enjoyable. The most european broadcasters started to use this technique and within the next years more and more stations will follow. Besides surveys and news you often get videos on demand which could be watched whenever you want. 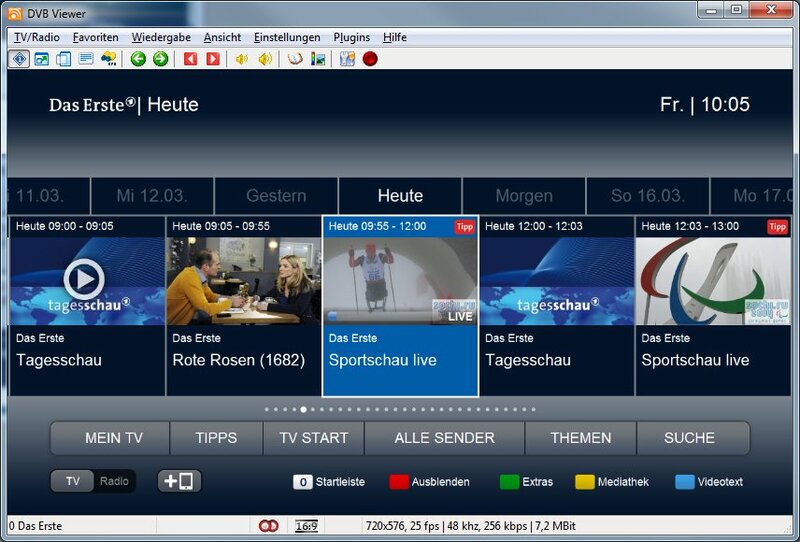 How do i get HbbTV inside the DVBViewer? The plugin has been created in closed cooperation with the FH Friedberg under the management of Prof. Jäger and can not provided for free. Customers of the pro version can order the plugin for 12 Euro under the following link. After the transaction you will receive a key which has to become added in our key tool and you are able to download the plugin from the members section. 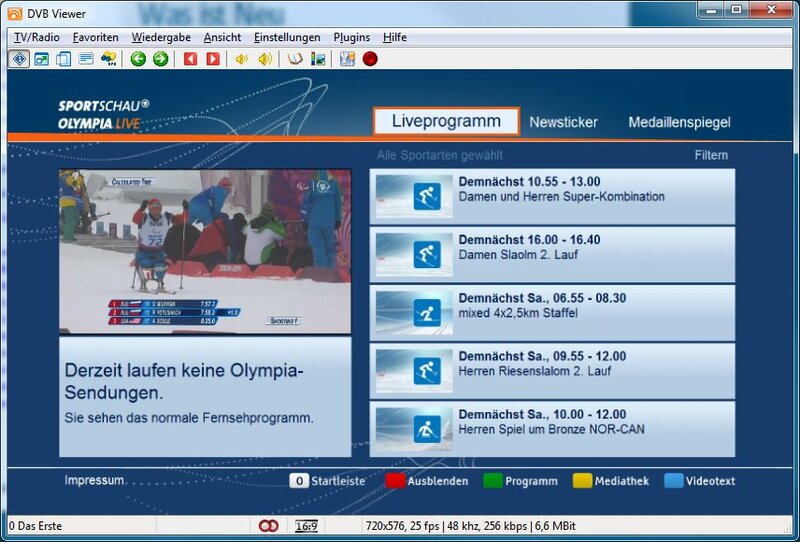 Is the HbbTV Plugin capapble to show regular websites inside the DVBViewer? This sounds really nice, but how does it look like?